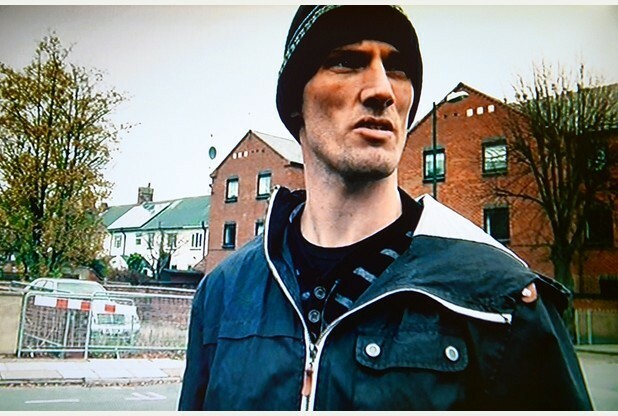 John Burr, who starred in the Channel 4 documentary Skint, has been offered a job at a recycling company in Louth. The former drug addict featured on the controversial documentary, which was set in Grimsby, and told of how a skating accident left him with shoulder and ankle injuries, forcing him to quit his job on the docks. After seeing Burr on the show, David Biddles contacted the Grimsby Telegraph with a job offer for Burr at Luxus Ltd, the recycling company he works for. Burr is eager to accept any work saying, “I’d even be prepared to bike to Louth every day if I had to, it’s not that far.” He has also been invited to help at Freeman Street Market Business Hub with re-offenders, which he says he would also be interested in. On the documentary, Burr revealed how he has struggled with drug addiction in the past and how it took him twelve years to get clean but that he has been in recovery for the past two years. Luckily for Burr, Mr Biddles saw him on the show and wanted to help. He asked the owner of the company about a job offer for the recovered addict and was told to offer a ten-week trial with a view to a full time position if the trial proved satisfactory. The company has even arranged transport to get Burr to and from the company. Mr Biddles has told of how impressed he was with how Burr has managed to beat his heroin addiction and told of how he wanted to offer him a chance. John Burr’s story highlights the fact that it is possible to get your life back on track after an addiction. The first step is to get the help you need to begin your recovery journey. There is so much help and support available for all types of addiction these days. At Addiction Helpline, we have a team of expert counsellors, therapists, and intervention specialists standing by to answer questions on every type of addiction. They have expertise on substance addiction as well as behavioural addictions and can provide information and advice on the best treatment options available. Addicts can be scared to go through rehab because they may have tried and failed before or they may have heard stories of others who have tried and failed. Heading into the unknown can be intimidating but signing up for rehab is one of the best choices an addict can make. Despite stories of tough withdrawal symptoms, getting through rehab and coming out the other side can change your life completely, so it will definitely be worth the tough times ahead. Anyone thinking of entering rehab will need to be prepared if they are to make it through. One thing you should not do is to go on a binge now that you have made the decision to enter rehab. Many addicts take this opportunity for a last blow out before ‘getting clean’. This is a huge mistake. The less drugs or alcohol in your system when you begin your rehab, the easier it will be to detox. In addition, binges are more likely to result in accidents or even overdose. Prepare yourself physically and mentally for what is ahead by resting before you enter rehab. Try to eat the right food and get some sleep so that your body is better able to cope with the tough initial demands of detox. If your mind and body are better prepared, you will find the whole process a little bit easier.